When choosing a NextEnergy West dealer, you have access to Western Canada’s most technically sound and experienced Geothermal Installers along with one of the most advanced geothermal product lines. Our goal is to make geothermal heating and cooling systems the primary source of energy in Western Canada, operating at their maximum efficiency. We are proud of our relationship with ClimateMaster, the largest geothermal manufacturer in the world. Each ClimateMaster product is produced in a state-of-the-art facility utilizing quality ISO 9001:2000 certified management systems. We partner with ClimateMaster because, like us, they strive for the highest product quality and service after the sale to give you peace of mind. All residential heat pumps have an outstanding warranty program, starting with 5 year labour warranty and 10 year parts warranty. The warranty package can be upgraded to a full 10 year labour and parts warranty to give the home owner peace of mind. Due to the relationship with ClimateMaster, replaced warranty parts are not required to be returned, unless there are requested. The technical support team at NextEnergy West Technologies has over 15 years of experience dealing with the ClimateMaster product line, HVAC components and other geothermal products. NextEnergy West Technologies carries a wide range of common heat pump components to service ClimateMaster’s residential product line thus reducing the system’s downtime. NextEnergy West Technologies handpicks all dealers and provides them with the training required to install and service the geothermal systems. Onsite as well as in shop training is available to provide dealers with knowledge about ClimateMaster equipment as well as proper installation practices. We will educate our dealers in the geothermal technology to make sure they are comfortable with it and can spread the knowledge along to the end users. 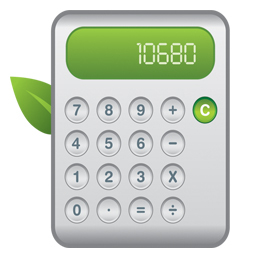 Click the calculator to open the application.